Clever way of getting the Vespa content off the Honda SH post. When & where did they use these? My earliest memories were of posties using pushies which they were generiously allowed to keep when they retired,Honda postie bikes were ridden by the 'telegram boys'. 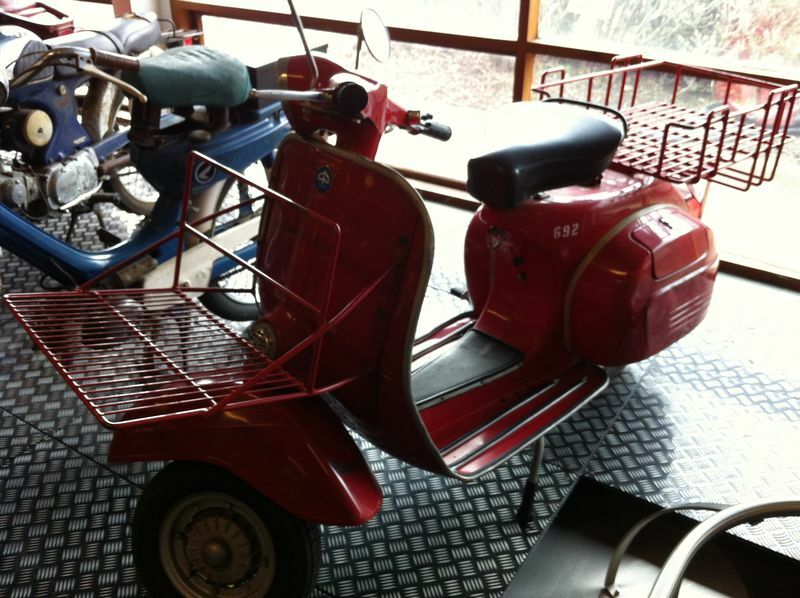 Re model of Vespa...i'd feel ripped off!! Of course, as per your photo, the model should come with a big rack at the front and /or rear to carry mail bags! yep, i reckon you'd be about right there..I also recall that oinda also had a 50cc in a standard motor bike...less common than the 90 but looked much the same. Is the new Vespa Srint iget 150 worth the money? It is possibly one of the hardest scooters to find pre-loved, as they now say. It is obvious the Sprint iget would be hard to find pre-loved, but in all the time I have been looking at the used market the little revised Sprint is a rare beast to find. Interesting that the dealer at the end of my street still has the white one (ESS, possibly plated 15) I was looking at over 15 months ago. All his other coloured Sprints shifted a long time ago. Another dealer offered a ride away price @$6.4k for exactly the same livery. The new iget Sprint (no ESS but with ABS front brake and kw increase to 9.5) are $7.4k. I did view the 70th anniversary Primavera set up on a plinth at my local dealer. I thought it a thing of beauty, especially with the latest colour coded wheelset (not the ones displayed on the Vespa site), and colour coded luggage. Too good to use I thought. It did not last long and I hope it has gone to a collection and surfaces on Vespa ride days. Better $ value than the Adventure models, really, even excluding collectable status. I just referenced a scooter review by Guy Allen posted on 1 June 2003 in Bikesales. Reviewing the new Vespa ET4 150, the price is listed @ $6745 plus on road costs. In adjusted terms the new 150s have come down in price.